Welcome to the official pages of the Hittner Company. We are specialized in the production of forest tractors – skidders, small agricultural tractors, a wide range of tractor attachments and all types of spare parts for tractors and other machinery. In 1987. Stjepan Hittner opened a machine shop „Metalservis“ in Bjelovar to satisfy industrial needs by offering maintenance services for all types of machines and production plants. Since then the company grew from a small trade shop do a successful company with more than 100 employees. In 1990. the trade shop grew into a limited liability company which continued offering industrial services and also began the production of agricultural machinery. At the end of year 2000.,the company produced the first forest skidder prototype –EcoTrac 33V who proved very useful for the needs of the Croatian Forestry company. In January 2001. ,the production of the skidder began. Through continued development and improvements, he grew into the EcoTrac 55V. June 2001. As a result of increased production growth, Metalservis LLC. Acquires the production hall of a car part manufacturer undergoing bankruptcy – TAD, and continues its production on a new location under the name “Metalservis – TAD LLC”. The company expands its production program as it starts producing spare parts for the automobile industry. At the same time, the company starts developing a large forest skidder, EcoTrac 72V, which became EcoTrac 120V after further development. The quality of our production and customer orientated business model is based on the ISO 9001:2000 certificate. Our quality was recognized by our most important partner, the Croatian forestry,way back in 1999. In cooperation with the Croatian forestry and the University of Zagreb’s Faculty of Forestry, the forest skidder was designed, produced and introduced to the highly selective European market, where the company achieved a remarkable position. In 2004. the company changes its name into „HITTNER“. 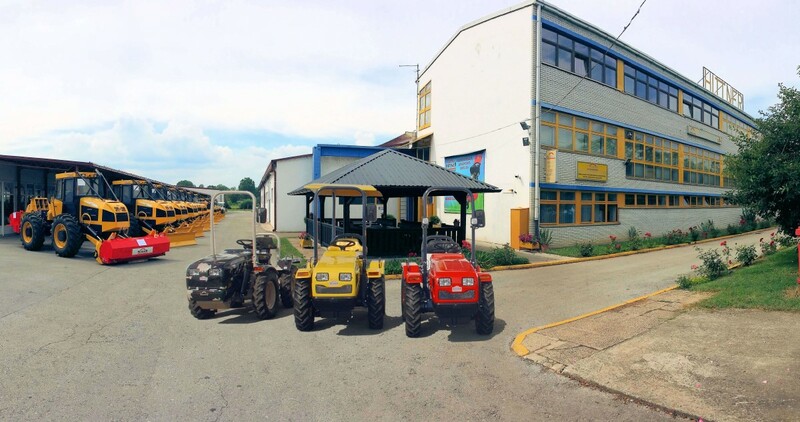 In 2005., on the 11th International livestock and farming fair near Bjelovar, the company presented the prototypes of small tractors EcoTrac 21, 30 and 32, built by the pattern of the small agricultural tractor Tomo Vinković. 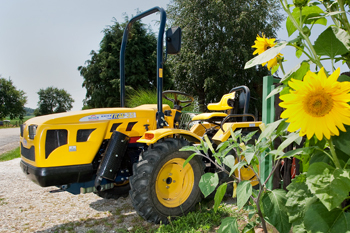 By implementing new technologies and technical improvements, EcoTrac 21,30 and 32 (later EcoTrac 30 and 40) are deserving successors of the globally known small tractor and a prime example of the symbiosis of tradition and modern development done right. In order to meet the highest quality demands, the company started installing DEUTZ and LOMBARDINI engines as well as LINDE hydraulic pumps, evidencing our dedication for the highest quality standards. During 2007. and 2008. we upgraded our machine park with 4 new sophisticated OKUMA machines – the latest generation in high-tech tooling. Together with the rest of our park, specialized for precise machining, we are proud owners of one of the most modern machine parks in Croatia which is continuously being upgraded and expanded.